I had the pleasure of accompanying Sally Moore to the opening of her latest exhibition in the Martin Tinney Gallery in Cardiff last Thursday. An exhibition of just 16 intensely worked paintings, tremendously detailed and full of dark humour and reflections on the absurdities of life. 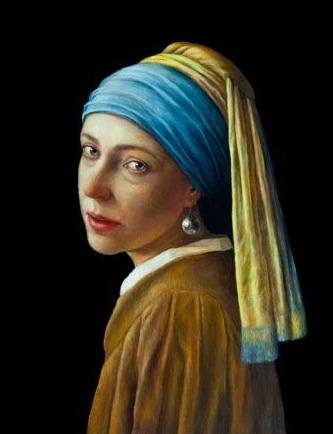 I loved Sally’s self-portrait version of a Vermeer – already sold. We stayed in Barry Island and enjoyed walking around the area and despite the poor weather, I was inspired to record some of the absurdities of Barry Island life. 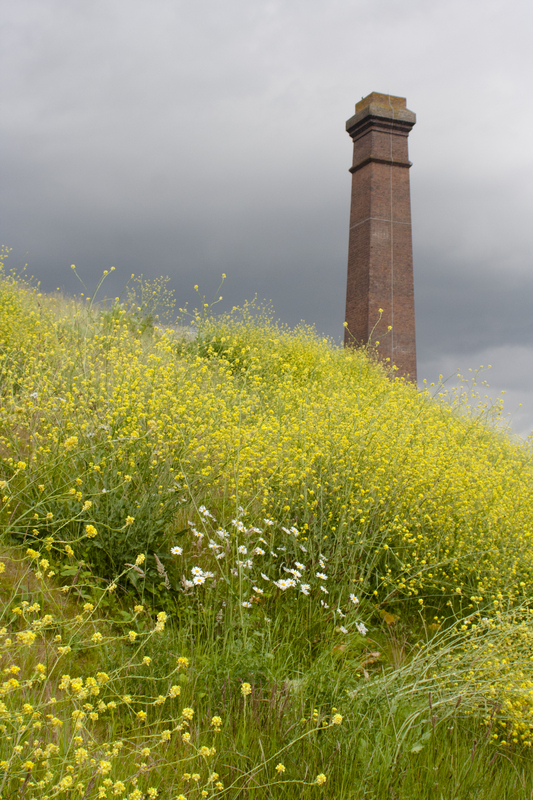 A crop of some wild, persistent and fantastically yellow flowers made a striking foreground for the pewter coloured lowering sky and the old brick chimney stack. 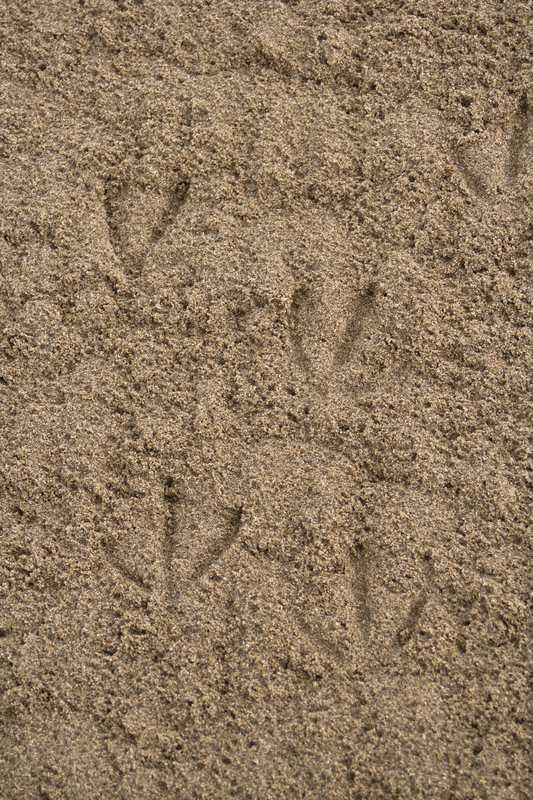 The local council dilligently sweeps the beach each morning with a tractor leaving an array of textures in the damp sand, overwritten gradually through the day by the imprints of birds feet, dog paws and footsteps. The rows of sweeping are so regular, the patterns recalling those of cable knit jumpers. 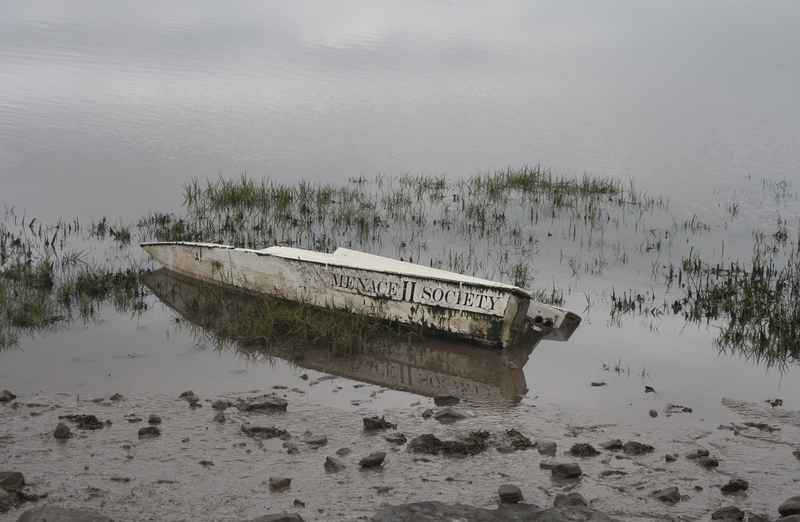 This poor forgotten boat seems to have become a victim of its own name. On Sunday in Swansea, the weather was at its Welsh best, not so “Flaming June” more of a flaming nuisance. 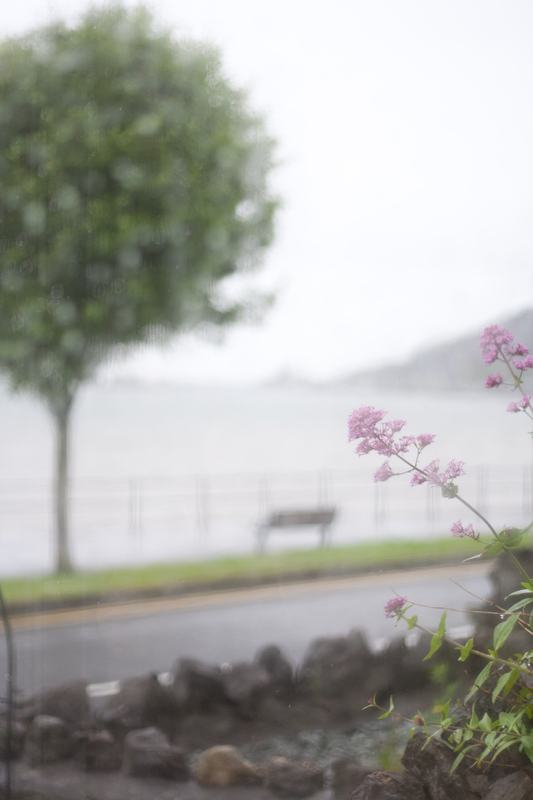 Fine and very wet rain blew horizontally across the bay all day misting up the windows. Beautiful painting! And interesting photos that definitely remind me to bring my umbrella and wellies when I come to Wales next week! Cheers! That’s why Wales is so green and lush, plenty of water! Didn’t know you were coming over, have a great time.